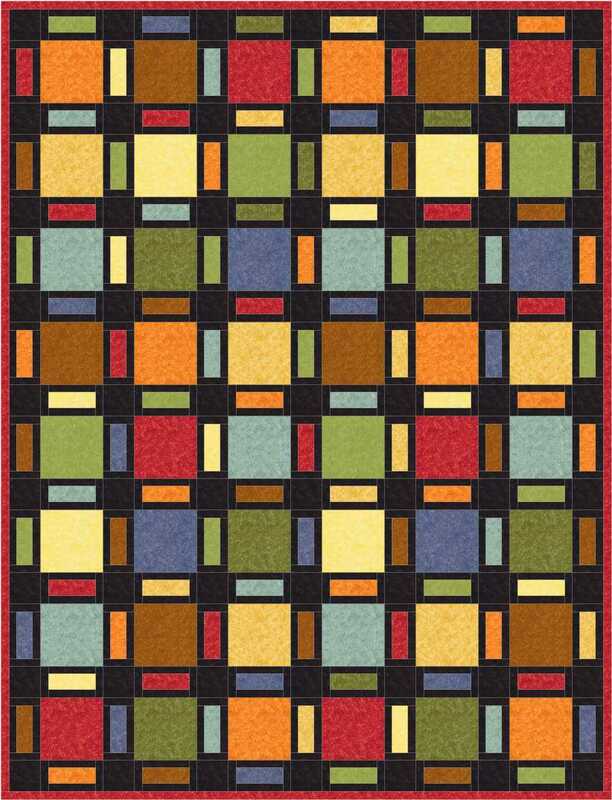 I’ve had several requests for block size/instructions for this simple little design I previously posted an image of so in honor of National Quilt Day 2011 (March 19) I will be posting the info on this page. This is definitely beginner friendly and a great stash/scrap busting project. You can use controlled scrappy, as these are or go totally scrappy. Or what about using all different shades of just one color. Or what about kits prints in the large blocks. Anything goes. Yardage will not be posted since you can easily adapt this to any size by making more or fewer blocks, using more or fewer fabrics. But instuctions for making one block will be posted as a pdf file link at the bottom of this page on March 19. And as always, if you make it, I’d love a photo of your version to share here. And the usual copyright restrictions apply – please do not share this pattern or email it to others. It is for personal use by the downloader and should not be used or distributed in any other manner. Click HERE to get the pdf file download. I have tried to download this pattern several times Denise and all I get is the first page. The other 2 pages state “unable to render.” I usually have no trouble with PDFs. I wonder what could be wrong?? Your help would be appreciated. This design has really caught my eye and I would love to make it. Thanks for your time in reply to this inquiry. Marcia – I don’t know what to tell you. The link works fine so you’re computer must not like something with the download. My only guess might be you’re using an older version of Acrobat or some other program that is not compatible with the file but I’m no computer guru. I had someone else test it on a different computer too and she, too, was able to first, see the preview screen that showed all the pages on box.net. and then also download it. 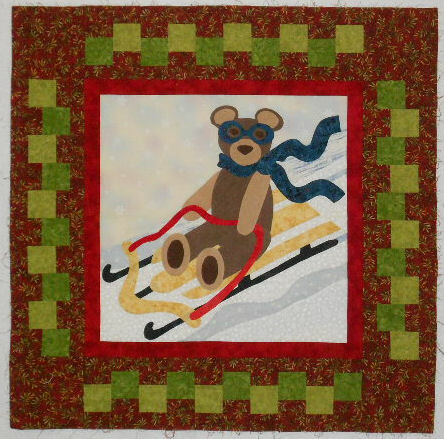 Love the simplicity of the pattern but the graphic design of the quilt! 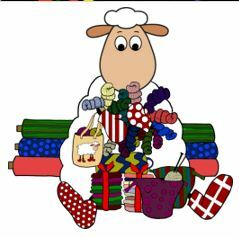 I think I hear my Christmas fabrics calling me. Quite a number of them have cute motifs I would prefer to not cut into smaller pieces. Yes it would be great in Christmas prints! Thanks for the pattern. It is so nice to have a pettern that can be used with so many fabric options. Thank you for the lovely pattern. I tend to use boring solid sashing, this will be a great way for me to try pieced sashing. 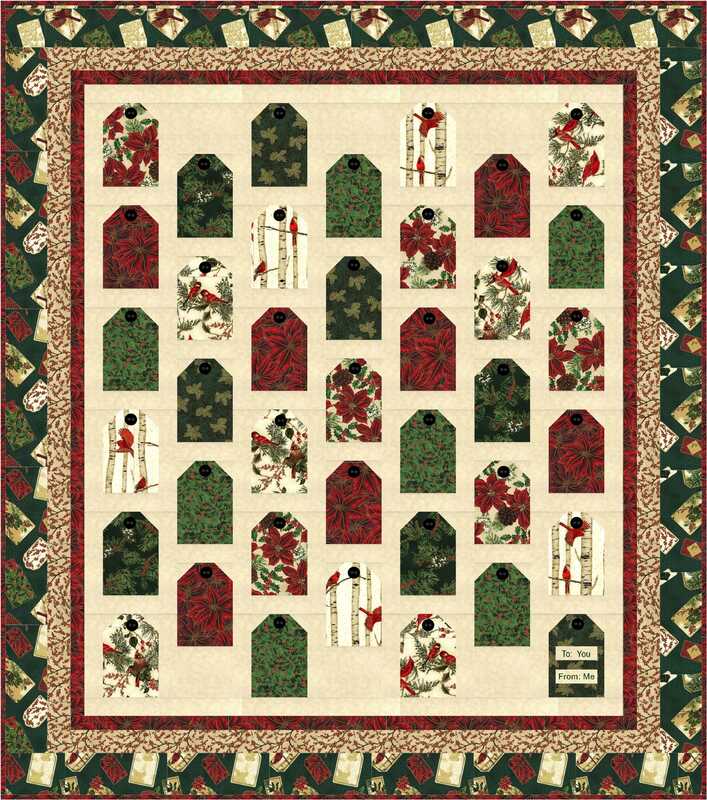 Katie – pieced sashing can add a lot to a quilt – just think of it as more rows of pieced blocks. love this one. „ill try making it out of all my scraps. Thanks so much for the great pattern…. Thank you once again for a neat pattern. 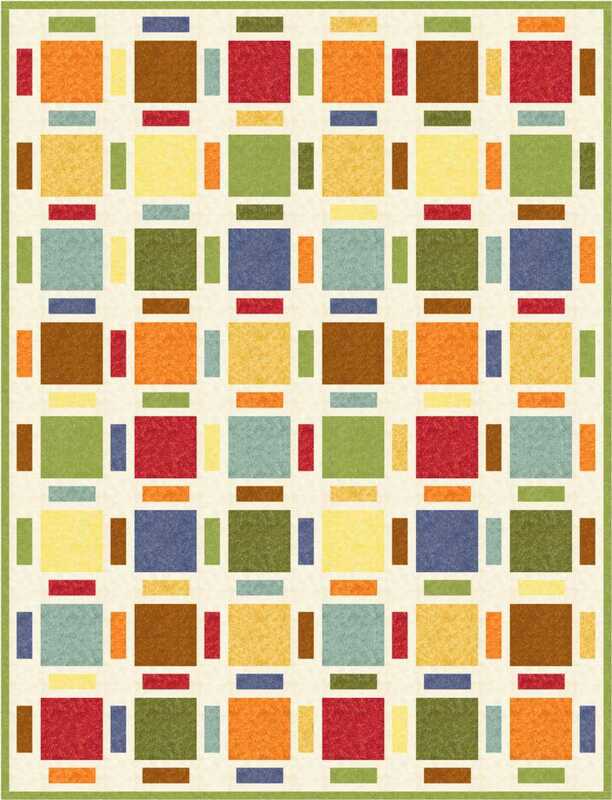 Thanks, Denise… I love patterns that will adapt to being totally scrappy! This one will be great! This is really cute! Thanks for posting the pdf. The design downloaded right away and I made sure I opened it right away. I didn’t want to have another January fiasco. Thank you for sharing the pattern with us. Do you have any tips or shortcuts you could share with us for figuring yardage for say all black sashings? I love the scrappy idea, but I’m thinking I need consistency in the sashings. For instance – if you need 2 pieces 1.5″ x 6.5″ for each sashing block – I would figure it this way. Based on a 6.5″ cut strip x wof – figure out how much useable width your fabric has without selvages (40″ 42″ etc) is and divide that number by 1.5 – that will give you the total number of 1.5″ x 6.5″ pieces you can cut per strip. Based on how many of those sashing blocks you need to make for your quilt – then figure out how many total 6.5″ strips you need to cut to get the proper amount of pieces. Repeat that process for the 1.5″ x 4.5″ pieces basing it on a 4.5 x wof strip. Repeat for cornerstone pieces – how many can you get from one strip and then how many strips you need to get our total number, etc. Then you need to add together the number of 6.5 striips you need (say you need 3 strips x wof then it would be 19.5″ total), along with all the other width strips needed for the other sizes. That gives you the total inches so divide by 36 to get the amount of yardage. Denise, Thanks for the guidance on determining the amount for the sashings. I don’t haave a lot of experience in this and appreciate the advice. Love the jewel tones with the black. Reminds me of stained glass. Thanks for sharing the design and instructions. Will d/l when yyou post on the 19th.